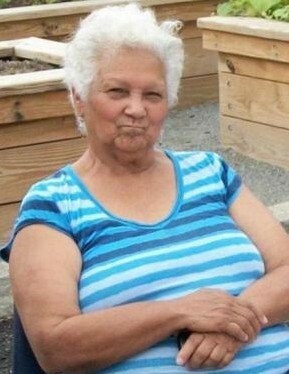 Julia Disla Castillo born August 20, 1938 in the Dominican Republic and has passed away on January 29, 2019 at Lahey Hospital with her family by her side. She was survived by 1 daughter, Miguelina Guzman, 1 granddaughter Belkis Santana, 7 great grandchildren and 8 great great grandchildren. Widowed by Adolfo Wert in 1980 and has dedicated her life to her family ever since. She came to the United States 1962 and had been a seamstress and business owner up until the time she retired. Julia took joy in taking care of her great grandchildren and her great great grandchildren. Even in her old age she enjoyed going places with the children in the family and always was up for an adventure as long as the children were involved. Relatives & friends are invited to attend visiting hours at the Diaz-Healy Funeral Home, 107 South Broadway, Lawrence on Saturday, February 9, 2019 from 5 - 8 p.m. At the family's request, interment will be private.